Kibale Forest Camp is located in a patch of evergreen forest, just outside the southern part of the National Park. It borders the Magombe swamp, known for the Bigodi Wetland Sanctuary and is a mere It is a 10 min drive to Kanyanchu Visitor Center, the place from where your chimp track will start. Kibale Forest Camp offers an affordable classic canvas experience in the form of 10 African safari style tents tucked away in a lush forest. A budget alternative is our lazy camping on our campsite. Complemented by excellent food served in a cozy grass thatched restaurant, the camp forms your perfect base if you are looking for an affordable and comfortable place from where to explore the area. 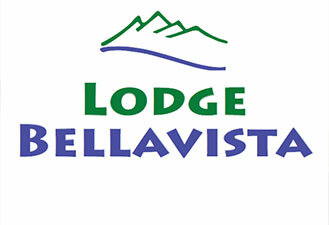 Located at the edge Kibale National Park only 22 Km from Fort Portal on the Kamwenge Road. Simply follow the sign posts! 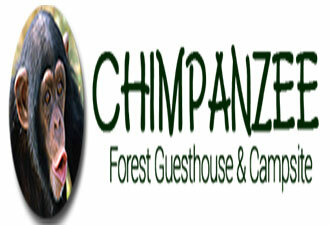 Chimpanzee Forest Guesthouse sits on well manicured lawns, beautiful gardens, tea plantations, pasture and indigenous forest. Enjoy beautiful panoramic vistas of Kibale National Park, ancient crater lakes, and the Rwenzori Mountains. Chimpanzee Forest Guesthouse was formerly a residence of the British district commissioner in the 1950s, during Uganda’s colonial period, and was innovated turned it to a Guest House in 2003 ,it has been wonderfully cared for and maintained ever since. Guests can relax in a comfortably furnished lounge which features an excellent collection of colonial African literature dating back to the 1800s. Chimpanzee Forest Guest House offers accommodation in beautifully furnished self-contained cottages (Bandas) with a panoramic view of kibale Forest National park and the surrounding Tea plantations. We also offer accommodation in a large ancient colonial house,which was formerly a home to the British commissioner in the 1950’s .It is well furnished with two self-contained rooms in a colonial setting with beautiful views of Kibale national park,Tea plantation and the crater lake. Enjoy hot showers in western style bathrooms. Or, camp on flat grassy sites away from the house with shade and seclusion. 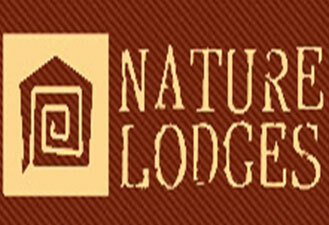 Ndali Lodge is a fantastic traditional colonial lodge set in the stunning crater region of Western Uganda. Built of local stone and thatch, the 8 luxury bandas offer views over the dramatic Rwenzori Mountains; each banda is en-suite with a private veranda. The dining room and lounge offer relaxing views over the crater lake below. 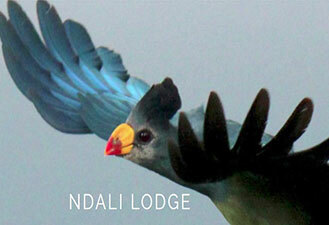 Ndali Lodge provides a perfect base from which to visit some of the region’s most popular attractions. Kibale Forest National park, famous home of the largest concentration of chimpanzees in Africa, as well as a bewildering variety of other primates, birds and butterflies, can be reached within 45 minutes.